Luxurious Country Living at your Private resort located in the gated community of Rolling Hills. Beautiful lush landscaping with your own 3 par golf course in your front yard and sustained by your own irrigation well. The home has over 6300 sqft of indoor living space and sits on a 2.8 acre property. Sparkling pool & spa, built in grill, Vineyard, wine cellar, wine tasting courtyard with fountain and outdoor fireplace. Guest house with an art studio and outdoor conference room. Views from the front and thLuxurious Country Living at your Private resort located in the gated community of Rolling Hills. Beautiful lush landscaping with your own 3 par golf course in your front yard and sustained by your own irrigation well. The home has over 6300 sqft of indoor living space and sits on a 2.8 acre property. Sparkling pool & spa, built in grill, Vineyard, wine cellar, wine tasting courtyard with fountain and outdoor fireplace. Guest house with an art studio and outdoor conference room. Views from the front and the back of the house. 24 hour security/gated. 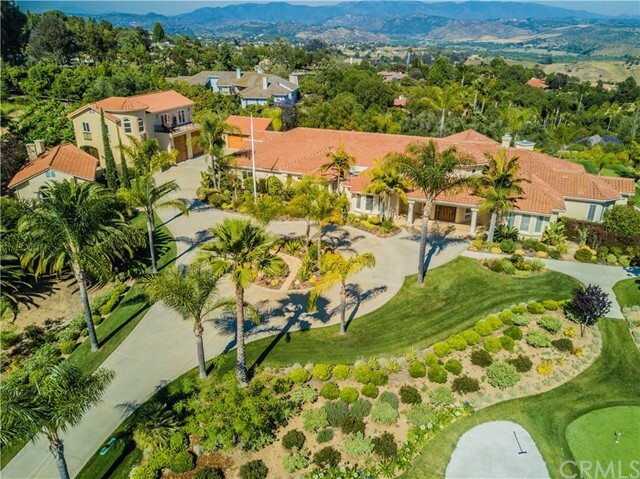 Conveniently located less than 3 miles from the 76 near Bonsall in S. Fallbrook. The beach is 12 miles away! You must experience this beautiful estate!